#Pugliamia is one of the hashtags you find on Instagram and that I use often when posting things about Puglia. During this weekend, when we were all coccolati and treated like princesses and princes by the Varvaglione family at Borgo Egnazia, I think that they really showed us what “their Puglia” is all about. It is not only “their Puglia” but “our Puglia, i.e. #Pugliamia. For me, being Scandinavian and born far from Puglia it is and has always been, very touching to experience how people in the south include you and make you feel like a part of their world. 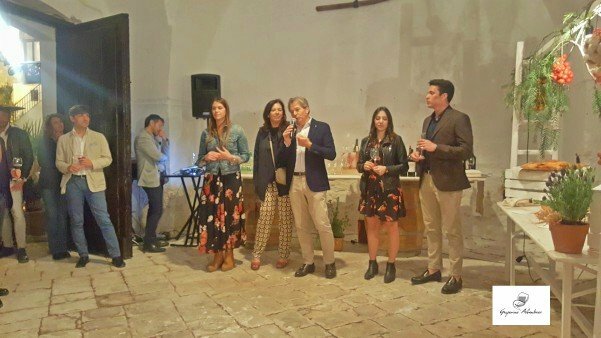 During one of the wine tastings, Marzia Varvaglione (the daughter of Cosimo and Maria Teresa Varvaglione) explained how for them it is all about family, passion, and love for their land. She stressed that family is important to them but not as a way of selling their brand but rather as a way of living and working with a passion for what they do. They want to do things with love and very well. They are not afraid of making a lot of sacrifices in order to reach the goals they have set. This morning (Sunday, April 22nd), before leaving the idyllic Borgo Egnazia one of them asked me about my main impressions about the weekend and how the Varvaglione winery is communicated. I replied that I think it is precisely this that you can see how they put their heart into what they do. Even if Varvaglione has grown rapidly as a wine company during the last few years, they are still true to themselves and approach all of us who are fortunate to know them with kindness and passion. 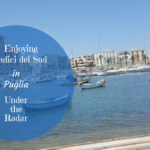 Now I am not going to turn this article into a cheesy story about love for Puglia :-), I just wanted to write down some of my impressions as I am traveling away from Puglia to go back home. For those of you who know me, you are already aware of that I have a fondness for and travel a lot to southern Italy. When I got an email from Marzia Varvaglione some time ago, inviting me to a weekend in Puglia to celebrate their wine success with them I, of course, said yes. 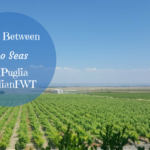 This weekend, when I was in Puglia with the Varvaglione family and other fellow wine writers and wine people, it indeed felt like we were all a big family celebrating the joy we have for wine together. For those of you who read my article about Radici del Sud (a wine event awarding wines from southern Italy) last year, namely One Big Wine Family – The Essence of Radici del Sud in Puglia you know I already talked about the concept of family. This is not to repeat myself but rather to emphasize the beauty of Puglia. We then jumped on the bus to go and see one of their vineyard lots where they have both older vines of Primitivo and newer plantings. 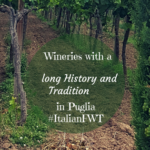 This really made me feel like being part of a #Pugliamia as I had already been to the vineyard last year with Radici del Sud. I now got to see the new plantings up close again and how they had developed and grown in just one year. The dinner on Friday was held at the Masseria that I also visited last year. The difference is that Cosimo Varvaglione and his family this year managed to seal the deal and buy the masseria. It is a beautiful and very suggestive place, especially at sunset. On Saturday, we could take it easy during the morning and relax at the beautiful resort Borgo Egnazia before the first wine tasting or wine workshop just before lunch. We got a glimpse into both the wines and the more historical and family background for each wine. This is the best way of experiencing a wine, right? 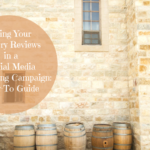 To get more technical and sensorial information combined with the emotion and history of the wines. 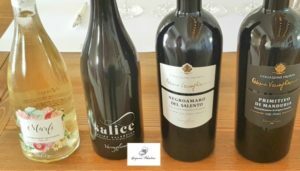 We tasted the wines Marfi Chardonnay Sauvignon Puglia IGP, Salice – Salice Salentino DOP, Collezione Privata Cosimo Varvaglione Negroamaro del Salento IGP, and Collezione Privata Cosimo Varvaglione Primitivo di Manduria DOP. They showed us, even more, how wine at the Varvaglione winery really has very close ties to their family and the family history, their love and passion for the land that they cultivate in Puglia. Cosimo told us about memories from when he was a little boy and how he reconnects to these impressions when he analyzes and tastes one of their wines. In fact, if you go to their website they start by saying how their connection with the land is also a connection between the past and the future. When I was more of a serious historian, I researched just how the past was important in order to shape the present for the future during the nationalist period. The vertical tasting of their Papale Linea Oro took place in the late afternoon on Saturday, after we had had some hour to relax in the sun. I will talk more about the tasting in a future article. Here, I just wanted to mention both wine tastings in order to show you how they had arranged the weekend so we could learn more about their wines and their history in a relaxed manner. We tasted 5 vintages from 2010 to 2014 of this 100% Primitivo wine. 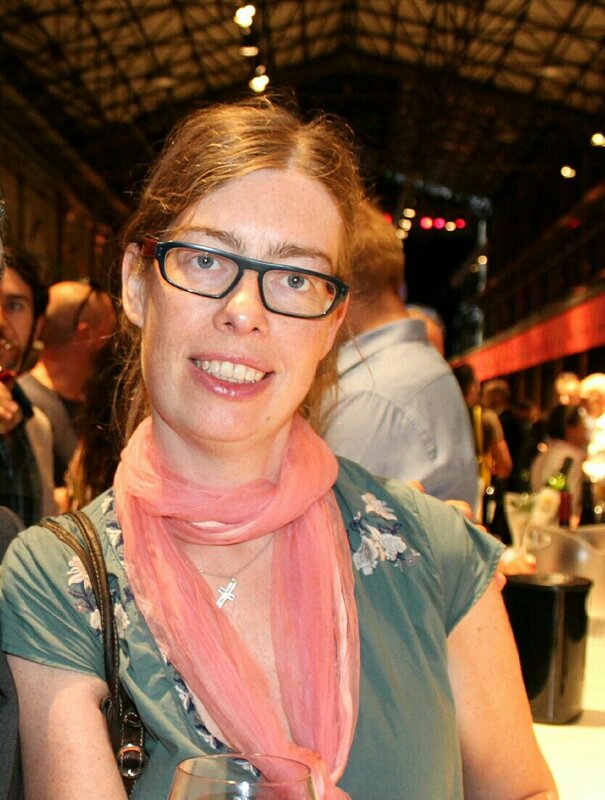 During the tasting, I especially liked the comments made by Chicca, the youngest daughter of Cosimo and Maria Teresa, that showed a deep understanding of the Primitivo wines. The weekend festivities came to their height with the gala dinner on Saturday evening where all of us had dressed up. Yes, even I had put on a long dress! And I know many of you might not believe that. LOL My friends were nagging me all evening long about photos but I think the only photo is the one that I took together with the Varvaglione family during the evening. Let’s see if their photographer has saved it 😉 as then you might get a glimpse of me in an evening dress. Anyway, it was a fun evening in great company. I got to hang out with many fellow wine writer friends that I do not see in person that often even if we follow each other and chat on social media frequently. 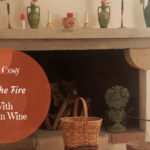 This article was supposed to be short and talk about the main points as a report of the wonderful weekend spent with the Varvaglione in Puglia. However, it became a bit longer and talking more about the weekend. I apologize for that. Anyway, I hope you have gotten the essence of my article that for the Varvaglione winery it is family, passion, love for their land, hard work and a goal-oriented attitude that defines them. Life comes before business for them. Probably this is why they are so successful.